Last week I shared this tutorial on Sew Sweet, but for those of you who missed it and still need to make a pencil case before school starts back here it is! 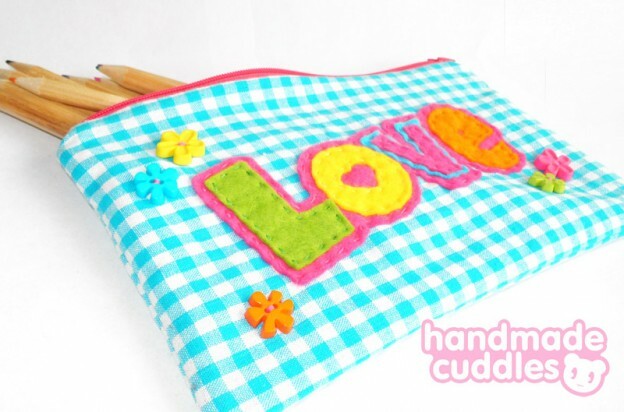 The pencil case is made from fabric, with felt appliqué “Love” sewn onto the front. 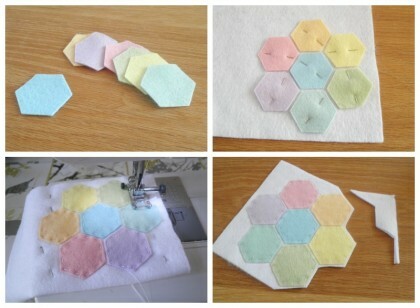 From your fabric you need to cut 4 pieces that are 14cm by 22cm. You want 2 in your outer fabric, and 2 in your lining fabric. Print off the template (linked above) and use it to cut out your “Love” from felt. Because some of the pieces are small or tricky I use tape to stick them down and cut around them, makes it so much easier! 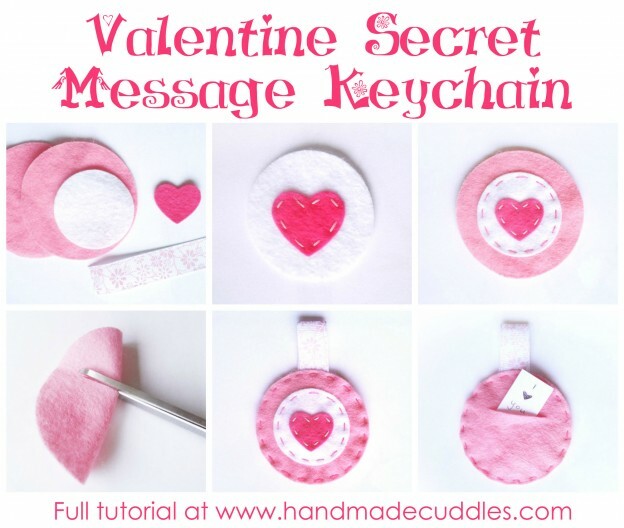 Take one of your outer pieces of fabric and pin the “Love” in the center with a slight slant to it. Stitch around the edge of each letter and the pink background to secure it all to the fabric. Take your front piece of fabric (in my case blue check) and with right side facing upwards lay the zip facing downwards on it. Then add the lining fabric with that facing down (so the two fabrics have right side facing). Sew along the top edge, leaving enough space between the zip and seam. Repeat the process for the other side of the zip. Pin in place and sew all the way around the edge, leaving just a small gap at the bottom of the lining fabric. Through the gap we left turn the pencil case right way out. Sew along the bottom of the lining to close the hole that we used for turning. And you are done! Already for going back to school. 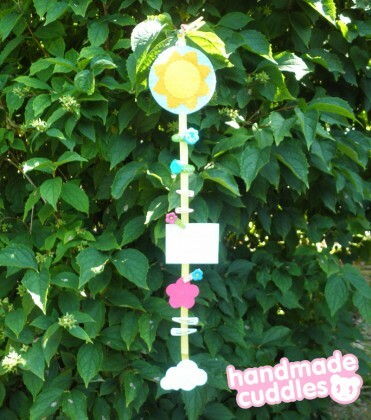 This entry was posted in Felt, Tutorials on August 27, 2013 by Handmade Cuddles. 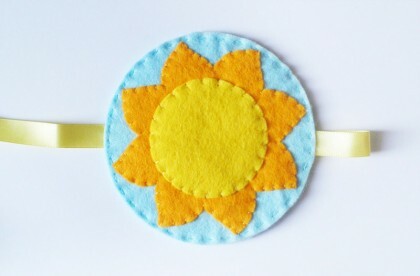 Today I have a summer inspired craft to share, a tutorial to make a “Sunshine” hair clip holder. 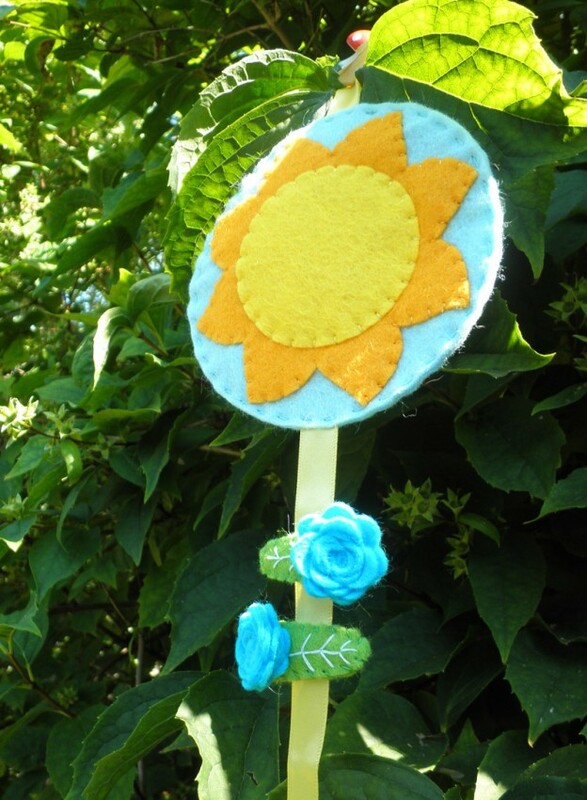 It is very simple to make, just needs felt and ribbon and was all hand stitched. 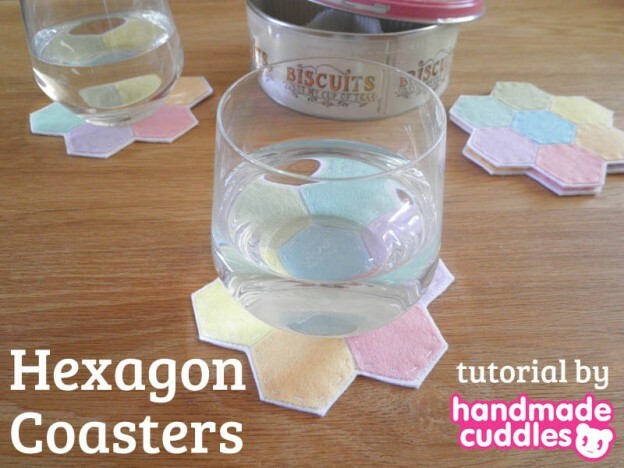 Below is the tutorial to make your own. 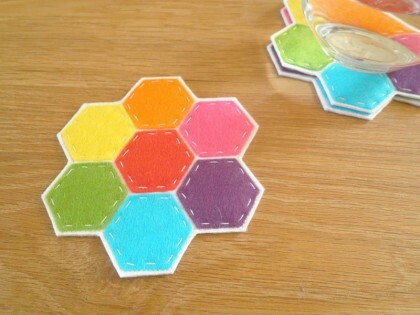 Print off the pattern pdf and use it to cut out your felt pieces. 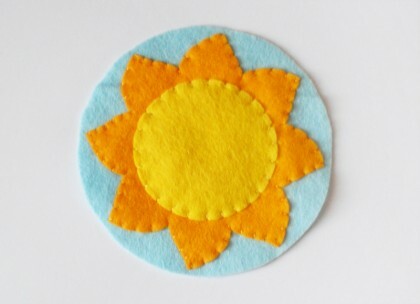 Take one light blue felt circle and hand stitch the gold/orange bit of the sun to it. Then stitch the yellow center of the sun on top. 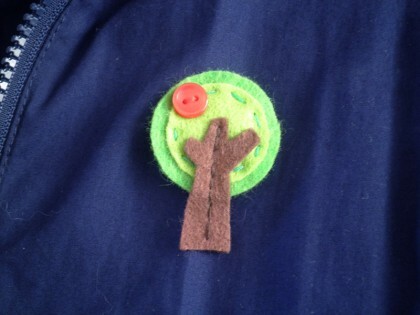 Place your second light blue felt circle behind the sun one. Fold the shorter ribbon piece into a loop and position it at the top, and tuck the single end of the longer ribbon piece in at the bottom, pin in place and hand stitch around the outside of the circle. 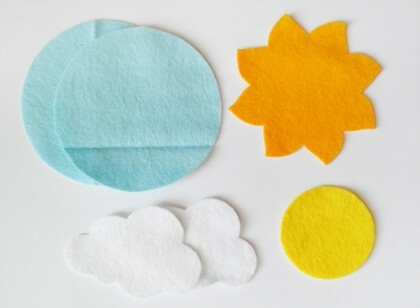 Take the two cloud pieces and pin them together, then at the top of the cloud add the other end of the long piece of ribbon between the felt pieces and pin in place. 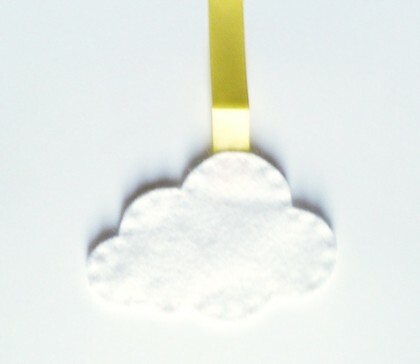 Hand stitch around the outside of the cloud, so the ribbon is secure between the pieces. And your hair clip holder is finished! 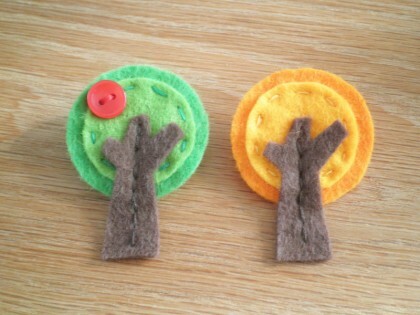 Now you need to make some felt hair clips to store on it! 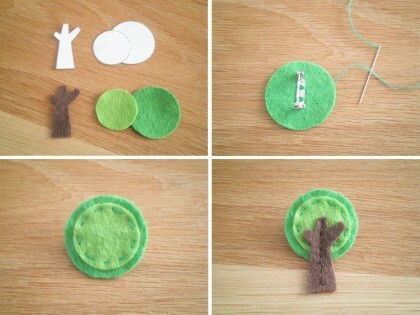 The ones in the picture were made from covering some metal hair clips in green wool, and adding a felt flower, I am sharing the tutorial to make these on Sew Sweet this Monday, so be sure to check out if you want to make some too. This entry was posted in Felt, Tutorials on July 20, 2013 by Handmade Cuddles.